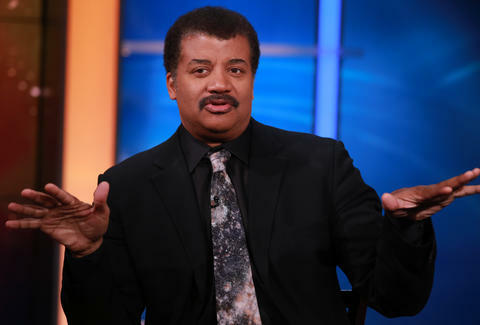 Neil deGrasse Tyson -- the beloved astrophysicist, celestial tie collector, and America's No. 1 space enthusiast -- is not a fan of the supermoon. At least, he thinks the dazzling lunar phenomenon, which lit up the night sky over the weekend, is super overrated. In a series of tweets spanning half an hour on Sunday morning, he brutally schooled everyone on why supermoons aren't very super at all. Tyson launched into his supermoon smackdown with a seemingly unprovoked tweet in which he claims supermoons are unworthy of their super monicker, and presumably, all the hype and headlines they tend to generate. Well, damn. With piping hot tweets like that, it's a good thing the moon is more than 238,000 miles away and surrounded by the vacuum of space. ANY TIME I GET MORE PIZZA IT IS DEFINITELY SUPER. The bottom line: Don't worry, moon. You'll always be a supermoon to us. All you're missing is a cape. Tony Merevick is Senior News Editor at Thrillist and can't help but think that guy's got a point. Send news tips to news@thrillist.com and follow him on Twitter @tonymerevick.